NICED Jobs Recruimentt Notification 2018.National Institute of Cholera and Enteric Diseases, NICED inviting applications for the positions of Secretarial Assistant, Project Technician, Multiple Vacancy.Interested and Eligible candidates can apply for the positions. 1. Essential: 10+2 or equivalent from a recognized board. Desirable: Experience in documentation and records holding. 1. Essential: 10+2 with Science subjects or equivalent from a recognized board with two years Diploma in DMLT from Govt. recognized Organization/Institute/Medical College. Desirable: working experience in the field. 1. Essential: 10+2 from a recognized board with two years experience in relevant field Desirable: Experience in EDP work, handling health and demographic data. 2. Salary: Rs. 17,520/- p.m. (Fixed). 3. Project Title: “Immunogenicity and Safety of Rotavac and Rotasill Administered in an Interchangeable Dosing Schedule among Healthy Indian Infants”. Candidates fulfilling the above criteria may report to the Administrative Officer along with Bio-data showing academic records from Matriculation onwards experience, recent passport size photograph and attested copies of relevant certificates for the interview as per details given below:- Date - 27th July, 2018, Time - 11.00A.M. 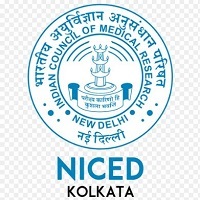 Address - National Institute of Cholera & Enteric Diseases (NICED II Building within ID & BG Hospital Campus) P-33, C.I.T. Road, Scheme – XM, Beliaghata, Kolkata - 700010.